From left to right: Chris DeCicco, John DeCicco Jr., Joe DeCicco Jr., Joe DeCicco Sr., John DeCicco Sr. 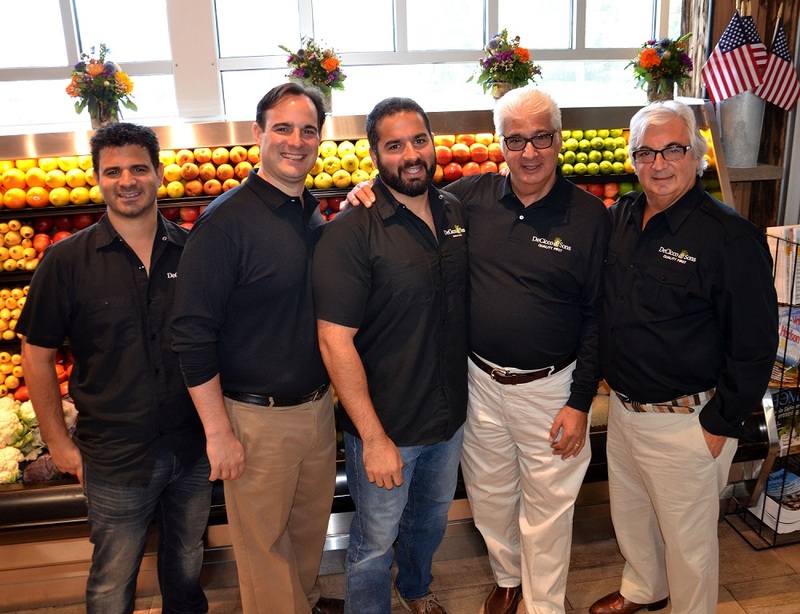 Started in 1972 by John, Joe, and Frank DeCicco in a tiny storefront in the Bronx, DeCicco’s grew slowly but surely into the thriving business we know today with the help of the rest of the DeCicco family. With a lot of hard work, customer satisfaction, superior service and a constant presence of the best food options available on the market, DeCicco’s built itself a well-cemented reputation of being the food market of choice for those who have a serious love for food and cooking in general. Growing up in a family such as ours that has cherished food all of our lives, we simply demand only highest quality and the best selection in the food choices that we are presented. It is with this same mentality that we have modeled our stores since day one. Only the finest produce, the best quality meat, the freshest seafood, the most diverse grocery, and the best prepared deli selection would suffice. However, the premium quality doesn’t stop there: We also feature some of the most diverse craft beer and cheese selections in New York, with thousands of varieties that span every corner of the world. Whether you’re a worldly chef or simply a curious food aficionado looking to try the best of everything, DeCicco’s will always be your one-stop destination.